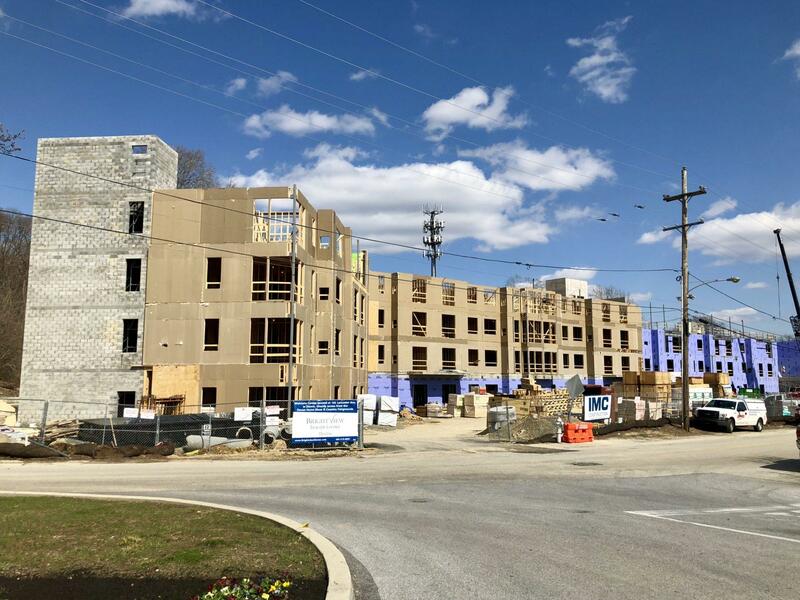 Six months into construction, our senior living project along E. Conestoga Road in Tredyffrin Township is taking shape. The project includes redeveloping a 2.75 acre commercial property into a new 5-story, 193-bed Brightview Life Care Facility with exterior amenities including a street landscaping and lighting, a green roof, rooftop garden and independent living garden. The existing site was void of all stormwater controls. 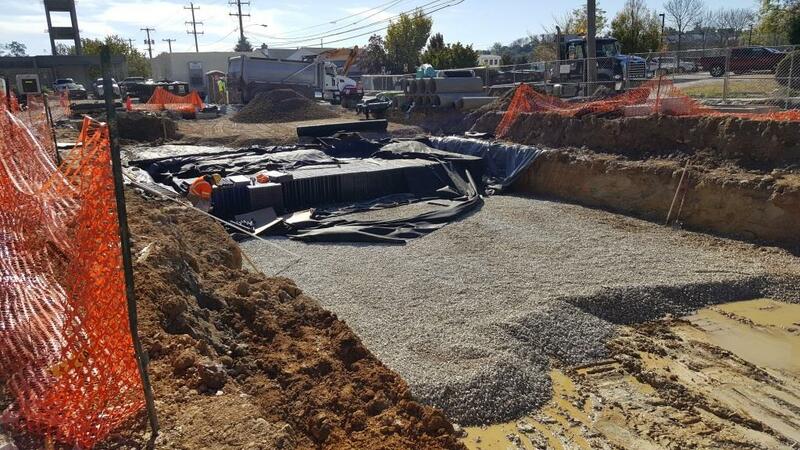 Through the implementation and utilization of an underground storage system (see below), we were able to reduce discharge from the site by 50%. Ultimately, the project will have a significant downstream impact. In order to meet permit requirements for water quality we introduced several rain gardens integrated into the streetscape as well as relied upon a green roof system, which will cover in excess of 70% of the proposed roof area – one of the largest in the area. The facility is scheduled to open in April 2019.Read more about the project.